7755 Center Avenue, Suite 1100 Huntington Beach, CA, 92647, U.S.A.
After graduating from the University of California, Berkeley School of Business Administration, Mr. Tabor worked for a national real estate developer where he was directly responsible for the leasing and management of over 10,000,000 square feet of commercial high-rise office space throughout the Western half of the United States. His specific responsibilities included negotiating the legal and economic terms and conditions of lease transactions, reviewing and identifying operating expense pass throughs to building tenants, analyzing and establishing building operating budgets and supervising a staff of twenty. Forming Corporate Realty Advisors in 1993 after leaving his position as the top broker in Southern California for the Grubb & Ellis Company and, prior to that, as the Director of Leasing for the 2.5 million square foot Greater Los Angeles World Trade Center, Mr. Tabor exclusively devotes his time to representing tenants during either their lease renegotiations or for their search and negotiations for alternative site locations. Additionally, his firm advises tenants with respect to the annual review/analysis and audit of their building operating expense pass-throughs, space planning, construction management, lease contract negotiation, relocation management, furniture acquisition and telecom services. Mr. Tabor's experience managing and leasing large commercial high-rises for developers and landlords is now available to better assist tenants. It is this very insight and experience that Mr. Tabor, along with his team, can offer CRA’s clients, which will create added leverage and strength in their negotiating position. Far more leverage than that offered at the traditional transaction-only focused commercial real estate brokerage firms/gladiator academies. Mr. Tabor represents such clients as Clark Construction, Wells Fargo Bank, E Trade Mortgage, Allstate Insurance, Pepperdine University, Farmers Insurance and ADT Security Systems, to name a few. 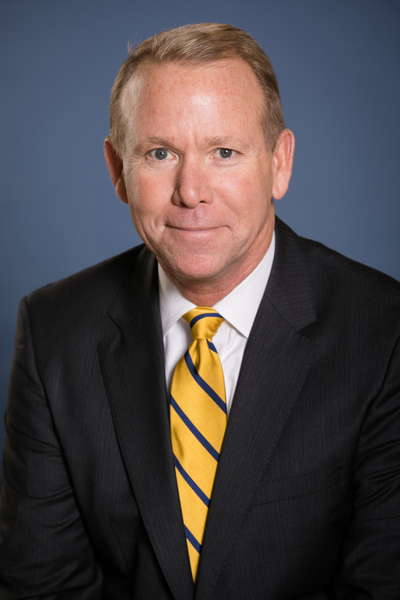 In addition to representing many of the larger law firms in Southern California, including Latham & Watkins, he has also represented such major corporations as Motorola, Nissan Motors, Cigna Corporation, Ernst & Young, Peat Marwick & Main and URS Corporation. Mr. Tabor was most recently responsible for consummating one of Southern California's largest lease transactions, consisting of approximately 56,000 square feet. Mr. Tabor has received such coveted awards as "Salesperson of the Year" for 1992-2017, and "Top Ten Producer.” He is also listed in “Who’s Who” of Prominent Business People in the United States. As a recreational aside from his passion of advising tenants on how to best position themselves in any landlord lease/purchase negotiation, Mr. Tabor also competes nationally and internationally in triathlons, in addition to long distance swimming events. He is also an Ironman Triathlon enthusiast, and has completed 12 Ironman triathlons to date, including his recent finish in the most difficult Ironman in the world – Ironman Lanzarote in the Canary Islands. Mr. Tabor’s next Ironman is scheduled for November 2018. It is the sixth most populous county in the United States as of 2009 while at the same time is the smallest area-wise county in Southern California, being roughly half the size of the next smallest county, Ventura. The county is famous for its tourism, as the home of such attractions as Disneyland and Knott’s Berry Farm, as well as several beaches along its more than 40 miles (64 km) of coastline. Whereas most population centers in the United States tend to be identified by a major city, there is no defined urban center in Orange County. It is mostly suburban, except for some traditionally urban areas at the centers of the older cities of Anaheim, Santa Ana, Orange, Huntington Beach, and Fullerton. Many regional headquarters for international businesses reside in Orange County like Mazda, Toshiba, Toyota, Samsung, Kia Motors, in the City of Irvine, Mitsubishi in the City of Cypress, and Hyundai in the City of Fountain Valley. Fashion is another important industry to Orange County.